Part of our work entails identifying and implementing appropriate technologies that help to meet our needs as humans while minimizing our environmental impact. Following is a list of some of these technologies that you'll see at the Ranch and throughout our community. We have six small photo-voltaic installations in place throughout the Ranch that bring electricity to a number of our living structures. We have also installed approximately 18 solar arrays for low-income families in our region who before then did not have electricity in their homes. Solar plays a small role in Costa Rica's overall energy portfolio though with the abundant sun that we receive for much of the year, it can fill a niche for the Ranch and the families in our rural landscape. We have three solar hot water systems that provide hot water to our dishwashing station and to two of our shower structures. This technology can be quite cost-effective and relatively easy to implement. Even though it's hot year-round where we live, it's still nice to have access to a little warm water to take the edge off after a long day on the Ranch. Hot water in the kitchen also facilitates easier and more hygienic cleaning of our pots, pans and dishes. In the sunnier months we're able to take advantage of Mastatal's abundant sun to help reduce our dependence on imported fossil fuels. 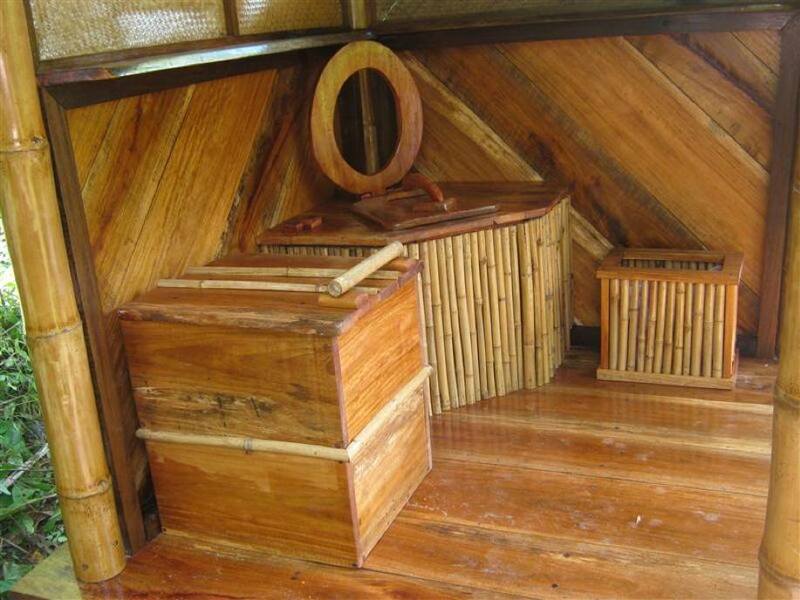 We commonly use our two solar cookers for low temperature cooking and baking and for drying herbs. Our two biodigesters toilets and a separate biodigester that runs on local cow manure provide methane to our kitchen for cooking. Biodigesters are a simple yet ingenious technology that allows us to put organic waste in the form of excreta and manure into an anaerobic system that takes advantage of a natural process whereby bacteria break down the waste and produce methane, a combustible gas that we can use to cook with, and effluent, a nutrient rich liquid fertilizer. Any organic waste when placed in an anaerobic setting will produce methane. This is resulting in the growth in popularity of this technology. We are increasingly seeing digesters installed in the developed world anywhere where we find find large quantities of organic waste, such as dairy farms, landfills (we unfortunately still send large quantities of organic materials to our landfills), breweries, and sewage treatment plants. The workhorse of our kitchen, our rocket stove plays an integral role in cooking the massive amounts of food that come out of our kitchen. Rocket stoves are designed to be efficient and mostly smoke-free and allow us to take advantage of the abundant wood resources that we have in our area. 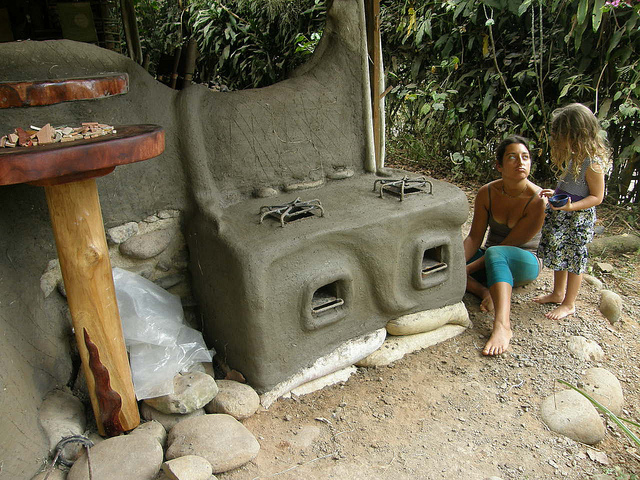 Our easy-to-build rocket stove is constructed of insulated cob and borrows a design from the Aprovecho Research Center in Cottage Gove, OR. One of the easiest and most effective tools in our alternative cooking toolbox is the Wonderbag. This ingenious yet simple cooking bag takes advantage of insulation to greatly reduce the amount of cooking fuel that one needs to use in their kitchen to cook. Simply heat up your dish using the cooking fuel of choice, but before it's fully cooked, remove the dish from the heat source and place it in the highly insulative. Wonderbag where it can finish slow cooking without adding anymore fuel. It works in the same way as do hayboxes, which are easy to design and build yourself at home, and is a technology that we feel has great underutilized potential. We love our Wonderbag and use it to cook rice, beans, cakes, potatoes, soups and much more. If you purchase a Wonderbag in North America, the company will donate another one to a needy family in Africa. Check it out. The Ranch has designed, built and installed 9 composting toilets to responsibly manage the human waste generated at our site. We are one of the few facilities in Costa Rica of our size and type that recycles 100% of their excreta. Our toilets are simply designed, easy to use, odor-free, beautiful and effective at producing tons of humanure each year. Our toilets help us to build fertility, do not pollute our drinking water, and inspire our visitors about an alternative way to deal with body waste.